Today I have the pleasure of hosting Patrick Canning. 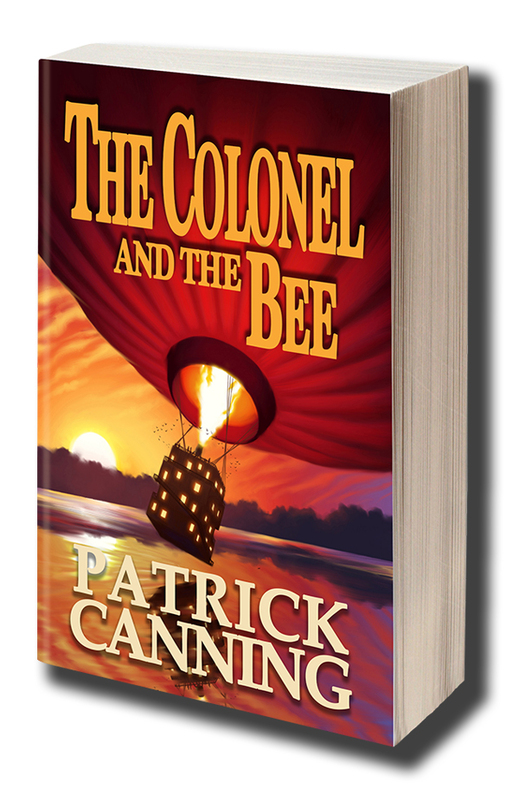 Today he will be discussing the research behind his latest novel, The Colonel and the Bee. The word ‘research’ probably conjures up images of dusty library archives, meticulously sourced bibliographies, and maybe even microfiche (if you’re of a certain age). 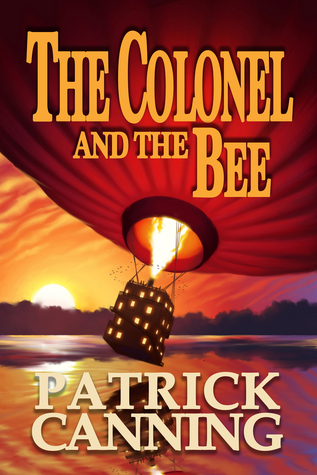 But research for The Colonel and the Bee was some of the most fun I’ve had in writing a book. Once I had my idea: a destitute acrobat and a flower-obsessed adventurer explore the world of the early 19th Century in a fantastically large hot air balloon, I needed some help filling in the details. The story wouldn’t be beholden to reality at every turn, but I’ve always thought a measure of science makes even the most outlandish fantasy that much better. It was time to do some research. While I admit going to the Wikipedia well more than I should, I quickly found many other amazing sources of information. Ballooning by C. H. Gibbs-Smith, an antiquated look at the world of hot air ballooning before 1946, provided some great aeronautical theory and history of ballooning. In an ill-visited corner of the upper floor of The Last Bookstore in Downtown Los Angeles (a great place to check out if you’re ever in LA), I discovered Forty Favorite Flowers by Beverly Nichols, a 1970s guide to curious flowers and how they fare in an English garden. Aside from having a great old book smell, Forty Favorite Flowers helped bring the Colonel’s extensive horticultural knowledge into focus. A dictionary of Victorian slang delivered gems like “enthuzimuzzy” (much ado about nothing) and “butter upon bacon” (excessive extravagance), but it was Lina Rivera, The Colonel and the Bee’s editor, who contributed what is probably my favorite bit of Victorian wordage: “chuckaboo” (friend). By far the most thrilling and enjoyable bit of research was a trip in a real hot air balloon. I took note of all the sensations and emotions that came with the unique way of flying, and paid close attention to the charismatic British pilot’s manner of speaking (“The crown line’s in a bit of a state!” and “A woman can understand a compliment in any language, can’t they?”). The difficulty in controlling a craft as unwieldy as a hot air balloon was made clear with our unscheduled landing on a golf course. Luckily, the irate owner was placated with a handy bottle of champagne. Imagination might do most of the leg work when it comes to fiction, but I hope all these real-world details help further color the world Beatrix and the Colonel explore, and make for a more engaging and exciting read. when the last dark corners of the map were being sketched out and travel still possessed a kind of magic. One night in Switzerland, the mysterious Colonel James Bacchus attends Beatrix’s show. This larger-than-life English gentleman, reputed to have a voracious appetite for female conquests, is most notable for traveling the world in a four-story hot air balloon called The Oxford Starladder. Beatrix flees that night to join the Colonel and the two of them make a narrow escape—Beatrix from her abusive ringleader, the Colonel from a freshly made cuckold. Beatrix, feeling the Colonel may have the answers to her problems, pledges to help him catch the criminal he seeks in exchange for passage on his magnificent balloon. The criminal seeks a precious figuring, The Blue Star Sphinx, but he’s not alone. The Sphinx’s immense value has also drawn the attention of the world’s most deadly treasure hunters. A murder in Antwerp begins a path of mystery that leads all the way to the most isolated island on earth. What dangers await the Colonel and the acrobat. Patrick spends as much time as possible turning coffee into collections of words that look like books, shorts, and screenplays. Most of his stories attempt to look for the meaning of life in an adventurous way, and often employ humor, important since the search usually doesn’t turn up much.